A Halloween cosy with interesting plot twists...and likeable characters, too. Picked this up at the last Burnaby/New West meet-up. The writing was a tad simple, but I liked the main character and the setting and the mystery was good too. Didn't finish it before Hallowe'en, so maybe I'll release it next year. Finally got around to reading this and thoroughly enjoyed it! I'll be releasing it soon. 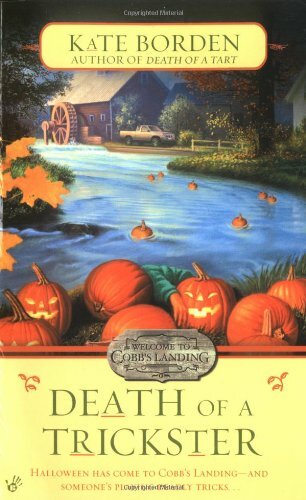 It seemed only appropriate to release next to the pumpkins in a local supermarket, because this book centered around Halloween and a race in which the townspeople floated their jack-o-lanterns down the river.